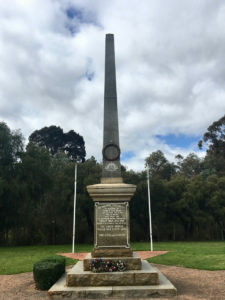 2/4th men from Collie, Worsley region who did not return to their families and home. 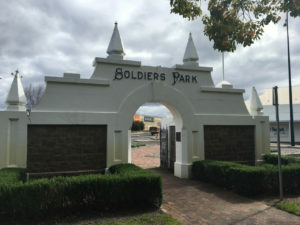 2/4th men included on the above Collie War Memorial include four men who died at Sandakan. Sea, 1944 following sinking of ‘Rakuyo Maru’ sailing from Singapore to Japan, aged 28 years. WX7883 Beard, W.H. 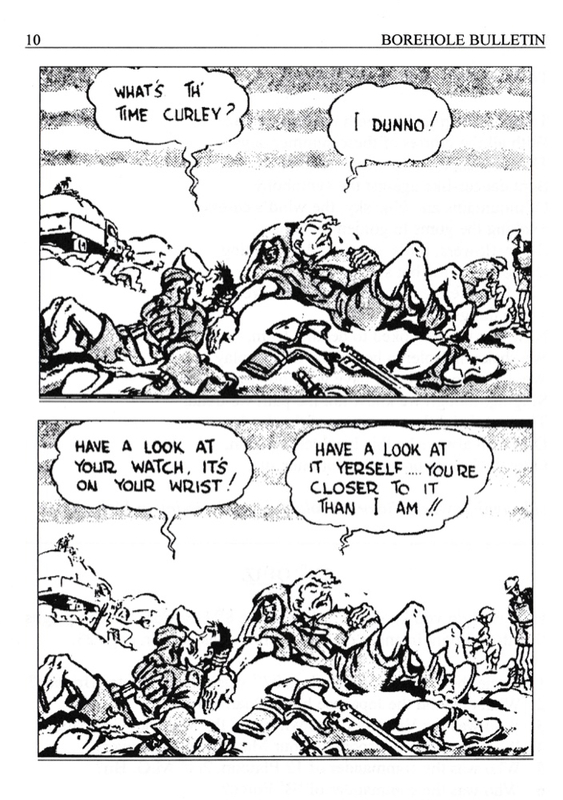 Bill Beard died Sandakan July 1945 aged 34 years. WX7909 Davidson Tom Tom died of illness Thailand, at Kuii Camp, Burma -Thai Railway, September 1943, aged 33 years. 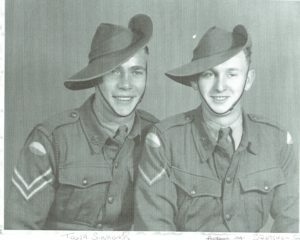 WX16416 Holme C. Bubbles died Sandakan-Ranau track 7 June 1945 aged 22 years. 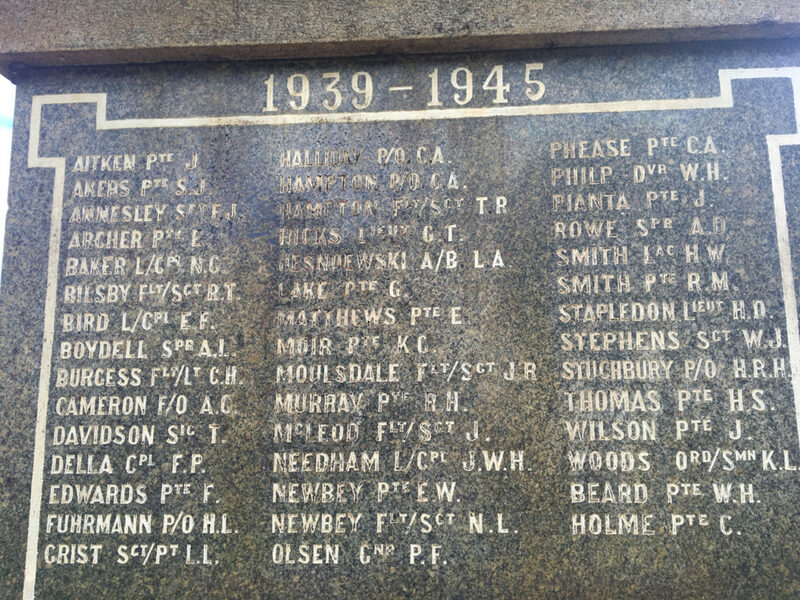 WX17582 Lake G. George perished at Sandakan 8 April 1945, aged 23 years. WX8012 Moir K.G. Georgie died of cholera in Thailand at Hintok River Camp, Burma-Thai Railway, August 1943 aged 24 years. WX8137 Needham J.W.H. John died December 1943 Burma at Khonkan Camp, Burma-Thai Railway aged 30 years. WX7902 Philp W.H. Bill died in Thailand of illness at Kuii Camp, Burma-Thai Railway aged 35 years. WX7904 Smith R.M. ‘Blue’ died of illness Changi 19 April 1942 aged 26 years. WX17973 Wilson J. ‘Jack’ died Thailand of illness at Brankassi Camp, Burma-Thai Railway August 1943 aged 36 years. 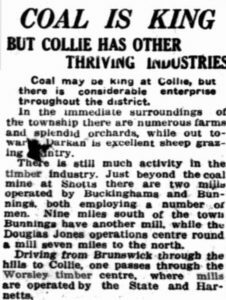 Collie was large catchment area for enlistment; mining, agriculture and timber. 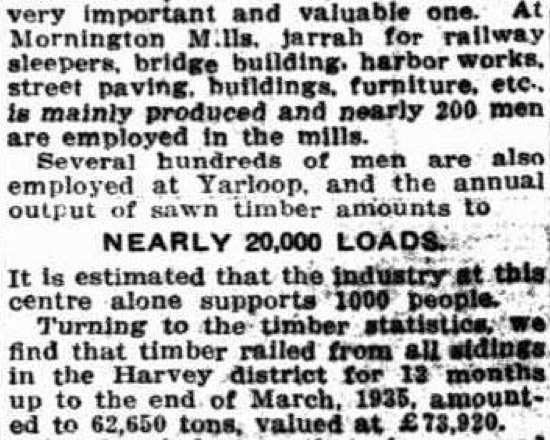 The area included Worsley and several of above worked in the timber industry there including Holme and Beard. Worsley did not become a bauxite mining town until the 1960s and the mill was about 9 miles from Collie. As a timber town Worsley Mill had been in existence since the very early 1900s. Worsley peaked in 1902 with a population of 1600 people. It was one of many mills in the area. Life was challenging for families with poor and sub-standard housing. The men worked for low wages and limited safety checks in place. Men suffered terrible injuries, loss of limbs and deaths. There were numerous strikes and confrontations. There were moments during the years when the workers had no income due to closure of mills for varying reasons. 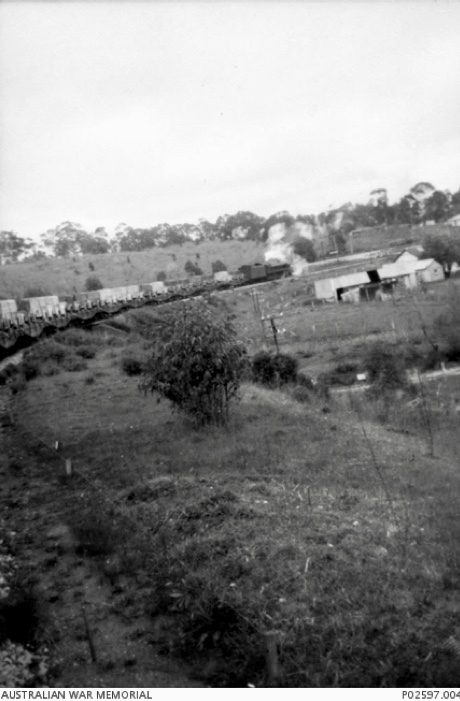 Lyalls Mill was also in the Collie region and supported a small population until the mid 1950s. 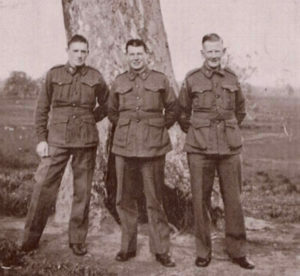 Harry Fuhrmann – awarded Distinguished Conduct Medal for outstanding leadership during battle of Singapore, (retired and later moved to Perth) Jim Quinn (later died Collie), Roy ‘Toona’ Simmonds (former prominent Mines-Rovers footballer) and later was Colliery Deputy for some years before retirement, Cliff Squance (later retired to Perth), Doug Tanner (worked for Shire Council and retired Collie), Jim Flanagan, Tom Green (died in work accident Muja in 1952), Alby Miller (died Collie), Arthur Magill – awarded Military Medal for Gallant Conduct during Singapore Battle, Jack Isaac, Tom Finlay. Jack Ewen retired Darkan farmer retired to Collie.